Compacted soil under the grass can lead to thatch and moss which are best treated in the spring by scarifying. Moss can be treated then with moss killer. 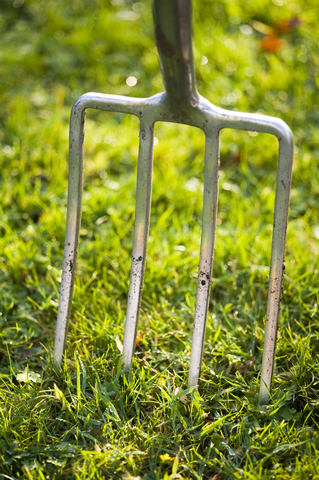 If you don’t want the unsightly black residue to rake out, the product MO Bacter is an organic fertiliser which feeds the lawn, while causing the moss to break down and become ingested by bacteria in the fertiliser. It leaves no debris and won’t need scarifying. It’s best applied in spring into summer. As a Countax owner why did you discontinue manufacturing the spiker and slitter attachment? Just what is needed now to aerate the lawn.